Procurement Contract Vehicles - Saitech Inc.
Saitech Inc has been awarded the California Multiple Award Schedule from the California Department of General Services. The contract is under the information technology goods and services category. It provides for the purchase and warranty of computer hardware and software. Saitech Inc is an ISO 9001 : 2008 Certified approved CMAS contractor to assist in the acquisition of high performing servers, workstations, notebooks, desktops, tablets, Chromebooks, networking equipment, networking systems and office equipment including printers. Saitech Inc is also a certified small and minority business enterprise by State of California and California Public Utilities Commission. Saitech was awarded the California Multiple Award Schedule (CMAS) by Department of General Services via Dell GSA contract in California. CMAS Contract offers various government agencies and state departments with a streamlined, efficient, quick turnaround procurement tool to acquire Information Technology product, hardware, software and warranty services. BASE SCHEDULE HOLDER: Dell Marketing L.P.
Saitech Inc is an approved participant in the USAC (Universal Service Administrative Company): Schools and Libraries (E –Rate) Program. A Service Provider Identification Number (SPIN) is a unique nine-digit number assigned to Saitech Inc by USAC. Eligible Internet access may include features such as basic firewall protection, domain name service, and dynamic host configuration when these features are provided as a standard component of a vendor’s Internet access service. Firewall protection that is provided by a vendor other than the Internet access provider or priced out separately will be considered a Category Two internal connections component. Examples of items that are ineligible Components of Internet access include applications, content, e-mail, and end -user devices and equipment such as computers, laptops, and tablets. ata plans and air cards for mobile devices are eligible only in instances when the school or library seeking support demonstrates that the individual data plans are the most cost effective option for providing internal broadband access for mobile devices at schools and libraries / . Applicants should compare the cost of data plans or air cards for mobile devices to the total cost of all components necessary to deliver connectivity to the end user device, data Transmission service to the school or library. Seeking support for data plans or air cards for mobile devices for use in a school or library with an existing broadband connection and wireless local area network implicates the Erate program’s prohibition on requests for duplicative services. Off-campus use, even if used for an educational purpose, is ineligible for support and must be cost allocated out of any funding request .Managed internal broadband services, such as managed Wi-Fi, are eligible only for Category Two support. 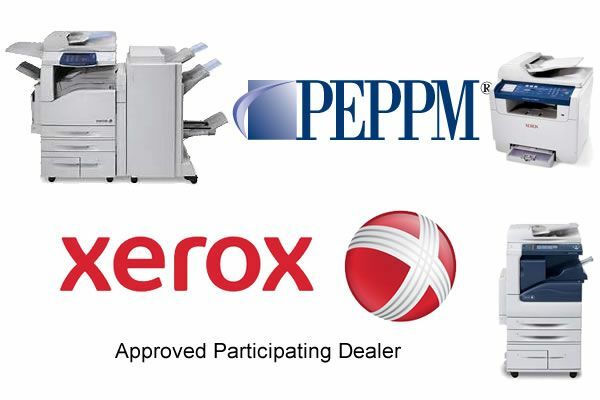 Saitech Inc. is an authorized approved Participating Dealer under the National PEPPM Contract to resell Xerox products and services. Saitech Inc. is available for onsite pre and post-sale support/assistance, quoting, and for placement of orders. PEPPM is a national technology bidding and purchasing cooperative administered by Central Susquehanna Intermediate Unit (CSIU), a political subdivision of the Commonwealth of Pennsylvania. PEPPM has been authorized by the Pennsylvania Department of Education for the past 32 years to take the responsibility for state bid law compliance for technology procurement. PEPPM aggregates buyers and demand in states across the country to get the lowest prices for technology products. Saitech Inc. is an authorized by PEPPM as a Participating Dealer of Axiom product lines including memory, storage, networking, SSD hard drives, power accessories and more. Saitech Inc is an $11 million+ supply chain partner providing primarily government-focused sales, tools and support resources to assist in information technology acquisition in the public sector including federal, state, local, education, healthcare and nonprofit markets. The company has been an approved contractor to the US Government and several Fortune 500 companies for more than 12 years. Under the contract, Saitech Inc has gained the opportunity to work with a large number of eligible agencies including public school districts, area vocational technical schools (AVTS units), BOCES, state-approved private schools, public libraries, non-public schools, state-approved charter schools, community colleges, colleges and universities, county governments, local municipalities, county/municipal authorities, and special districts, state agencies and other non-profit organizations. PEPPM is a technology bidding and purchasing program established in 1982 for education agencies. PEPPM is a nationally affiliated group of agencies coordinated by the Central Susquehanna Intermediate Unit. 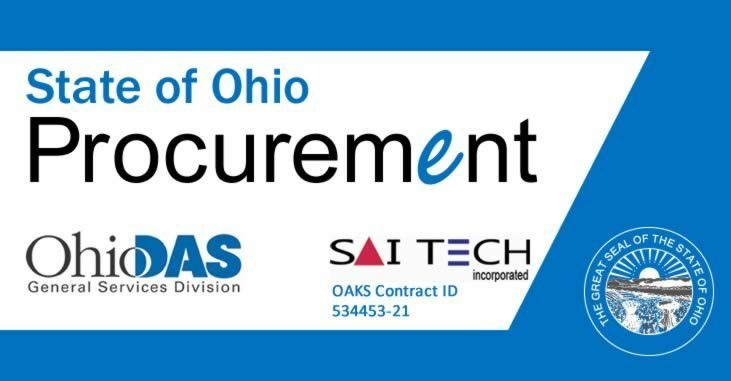 Saitech Inc located in Fremont, CA has officially been added as an authorized dealer under Promark’s Ohio State Term Schedules (STS) Information Technology contract. State Term Schedules are established with vendors for various supplies and services. Saitech Inc is glad to announce that it has signed an agreement with Xerox and TIPS USA to become a fulfillment value added reseller for Xerox printers, print supplies, scanners under the TIPS purchasing cooperative agreement. Saitech Inc is a Xerox Gold Solution Partner and looking forward in fulfilling the challenging requirements of the public sector in the print, scan and digitalization challenges.